The Villas Flamenco luxury apartments are in the coastal town of Conil de la Frontera, a destination of the first magnitude, very appreciated by all those who love quality tourism. But what makes Conil the jewel of the so-called Costa de la Luz? Why does this town of just over 20,000 habitants, year after year, represent the dream of an authentic holiday in Spain? Conil is the essence of Andalusia. Conil offers everything you can look for when you want to enjoy a real vacation. And it is that this privileged enclave gathers history, culture, good climate, extraordinary situation and excellent gastronomy. But, above all, 14 kilometres of immense beaches with clean and crystal clear waters and fine sand, where you can sunbathe for much of the year. Founded by the Phoenicians in 1200 BC, this white and sailor town later gave shelter to Carthaginians, Romans, Visigoths, Muslims and Christians, who incorporated from the border to their name. Numerous vestiges remain of this rich history. We recommend a walk through its urban area to visit the Tower of Guzmán el Bueno, fortress of the XIV and XV centuries and built to avoid possible invaders, the Parish Church of Santa Catalina and the Hospital from the Misericordia, among many others. Once you enter through this historical center, your Andalusian past is irreparably revived. 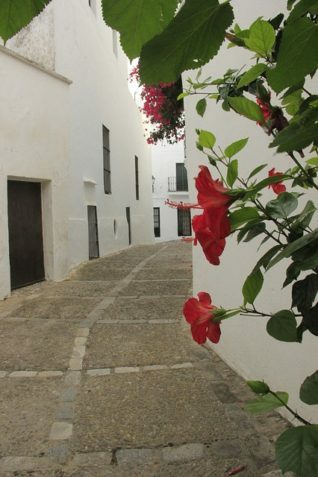 And it is that Conil is a town of shining white houses and narrow streets superbly decorated with the typical geraniums and carminations. 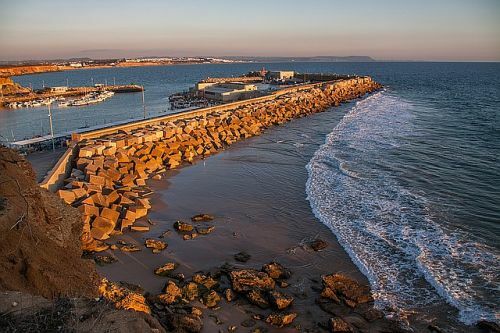 Conil de la Frontera combines the spectacular and coquettish beauty of this urban center and its charming fishing village with its varied and rich coastline. And is that its beaches are the main argument to go to Conil on vacation. The urban beach of Los Bateles, the wildest and most extensive of Castilnovo, the cosy Fontanilla, the turquoise waters of Fuente del Gallo and the elegant beach of Roche are with unrivalled quality. And what about its famous coves? Those small, almost virgin, cliffs that dot the west of Conil: Camacho Cove, Pitones, Cala del Aceite and the Calas de Roche. Very close to the latter are the Fishing Port and the Lighthouse of Roche (S. XVI), from where you can see a magnificent view of the entire coast. 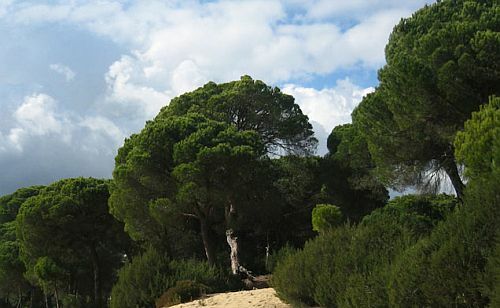 Conil is also nature: the great coastal pine forest of Roche, an area of special conservation and lung of the Bay of Cadiz, noted for its rich fauna and flora, with a good number of protected species and on route to extinction. And in this unique natural space rises a surprise that, surely, will be transformed into fun guaranteed for the little ones: An adventure park in the trees! 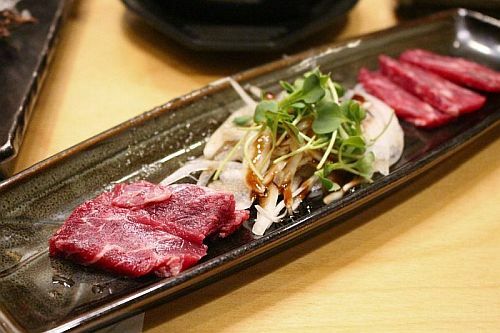 To this interesting offer of holidays in Conil could not miss an excellent gastronomy based on the products of the sea, especially the tuna of almadraba, an art of fishing very valued now and that sinks its roots in the own municipality; in its retinto meats and wonderful products from the garden. All these products and many more will be able to taste them in the 6th edition of the Ruta de la Tapa de Conil, which takes place from 6 to 15 April and where 74 catering establishments show the best of their cuisine at a great price. Villas Flamenco offers an interesting tour through some wineries, because Conil and its surroundings is also a land of wines, good wines. Thus, the winery and almazara Sancha Pérez, located on the road to El Palmar, produces high quality organic oil and wines. Its owners propose a visit where they can learn the secrets of the artisan and ecological production of wine and oil. In another direction, between Conil and Vejer de la Frontera, is the Etu-vinos winery, which produces some unique wines, with character and controlled ecological certificate. 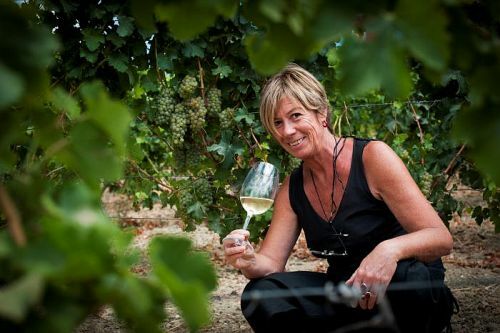 The heart and soul of this project is the German Ute Mergner, a lover of Andalusia and southern wines. His winery organizes visits and wine tastings. And at the foot of Vejer de la Frontera, just 20 kilometres from Conil, stands Bodegas Gallardo, run by the fifth generation of a family that for more than a century has been producing fine, sweet and fragrant wines. Since we are very close to Vejer, we could not leave without visiting this typical Andalusian town, because as The New York Times proclaims: “Only a traveller with a heart of stone could resist taking the side road that goes up to Vejer ” Included in the route of the white villages and considered one of the most beautiful in Spain, “Vejer remembers once again how ingeniously and generously Spain has mixed the Arab culture of its enemies of the past with its own and formidable heritage”, describes beautifully of new The New York Times. 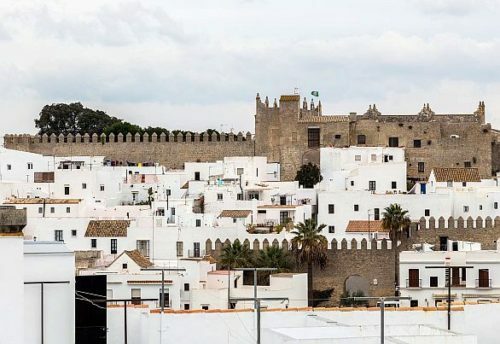 And a unique opportunity to visit this beautiful southern town is precisely during this month of April, because between 11 and 15 Vejer dresses up to celebrate its Spring Fair, having the immense honour of inaugurating the period of fairs in the province of Cadiz. Villas Flamenco is the perfect accommodation to know and taste the authentic Andalusia, to visit Conil and its surroundings. Villas Flamenco, which has the best holiday homes on the Costa de la Luz, wants you to live this experience. For this reason, he has launched some irresistible offers. In this way, if you book 45 days in advance, you will get a 7 percent discount (check conditions) and if you do it two months in advance the savings goes up to 10 percent (see conditions). And for those who travel as a family, at Villas Flamenco we make it easy for you: the first child under 12 is free (check conditions). Don´t you think it anymore! Come and enjoy the south of Spain. Villas Flamenco, the best destination for your holidays. Next PostNext Fairs, Horses and Motorbikes. May, guaranteed party.